Posted on April 5, 2012 by Melanie B.
I tried. I really tried to read the book “Charlie Wilson’s War.” I started it, put it down and read “Life of Pi” (great book, by the way). I started it again, put it down and read “The Guernsey Literary and Potato Peel Pie Society” (another great book, by the way). 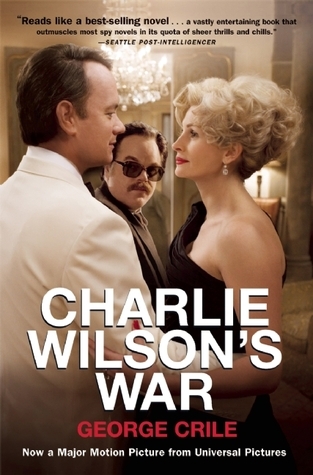 So, I am reading “Charlie Wilson’s War” last night and I was complaining about it (I never complain about a good book…. quite the contrary). There are so many details about weaponry, so many dates, too much information that I just didn’t care about. Then, my daughter says to me “my teacher says you can’t give up on a book until you’ve read at least 3 chapters.” That was my ticket out! I was on Chapter 11. So, I gave up. I stopped reading it and rented the movie.